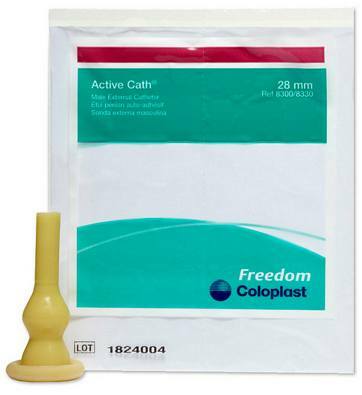 Active Cath®, Self-Adhering Male External Catheter is a self-adhering, extended wear, one-piece catheter. 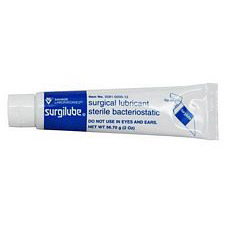 Combines a shortened latex sheath with a wide, watertight adhesive seal. 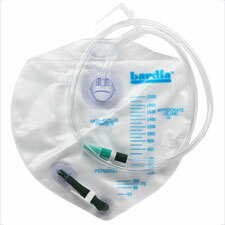 I use a condom catheter and leg bag when I'm attending an event where leaving the room to use the restroom would be inappropriate or disruptive -- like church services, concerts, theater, lectures, etc., or where there is no restroom -- long car or bus rides, airplanes, golf course, boating, etc. It dramatically extends the time between required bathroom stops, and prevents urge incontinence entirely. What a relief! If you've frequently gotta go, this is the way to go. 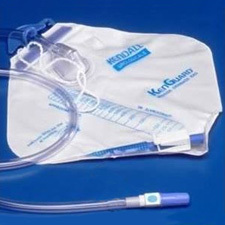 I use an external catheter and leg bag 4-8 times a month as a precaution, primarily when I am to be in a lengthy meeting, on an airplane, in a concert, etc., where I could not easily excuse myself to use the restroom. This is a simple, clean, secure solution to one of aging's nagging nuisances. It surely beats other solutions I have considered, including becoming a dropout from active social life! I use a condom catheter and leg bag when I am going to be confined to a public event without easy access to a restroom for a substantial period of time -- such as a meeting, a play or concert, a church service, a funeral, graduation or wedding, bus, plane or van travel -- and need the temporary protection of a urinary collection device that is discreet, reliable, inexpensive and comfortable. This product solves a major, though occasional, need in my life, and thank goodness for it. This soft, secure device is a lifesaver when confronted by events that last more than an hour -- no anxiety about needing to disturb others during a concert, play, lecture, church service, or when restrooms are scarce, inconvenient or unavailable, such as at a stadium/arena, on a hike, or boat ride, or standing in a long line, or at a dinner party, etc. 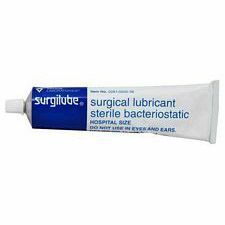 The adhesive is easy on the skin, quick and painless to roll on and remove. It takes the worry out of being caught needing relief when a pit stop is awkward or impossible. Thanks to Mentor for a great product! Could be more comfortable but VERY reliable. I wear leg bag for events where I cannot leave to use restroom--concerts, church, theater, etc. 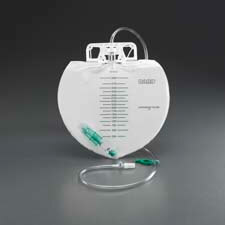 Active Cath is an ideal solution for me. 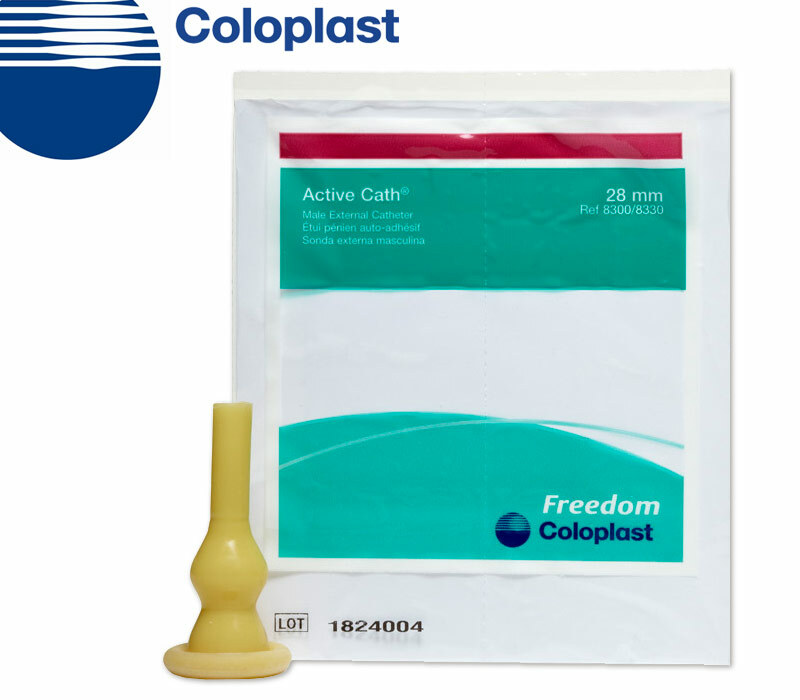 It is absolutely secure and cpmfortable, easy to apply and remove. The adhesive is perfect. Can't say enough good about this excellent product. They work great. Just be clean and dry. If you encounter an order that is half unrolled in the package make sure to send it back or you will get leakage.